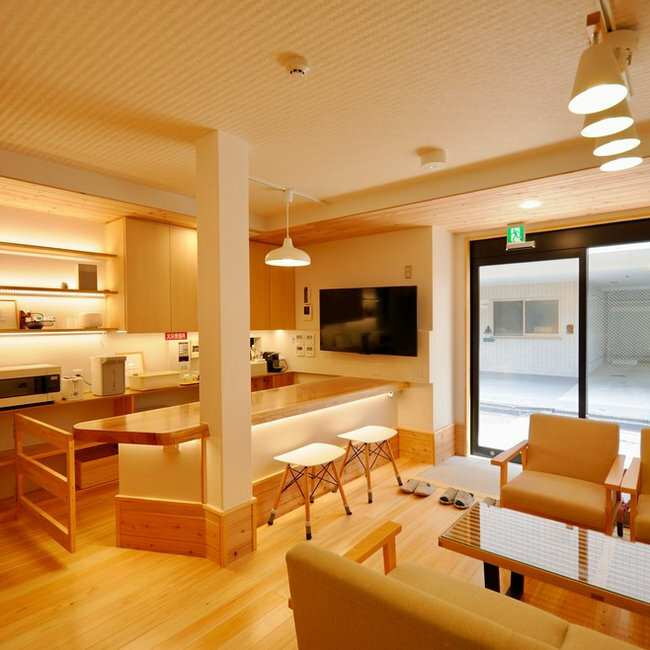 This is a guest house in Kyoto. The original house was abandaned for long time. The facade was covered with mortar mostly. 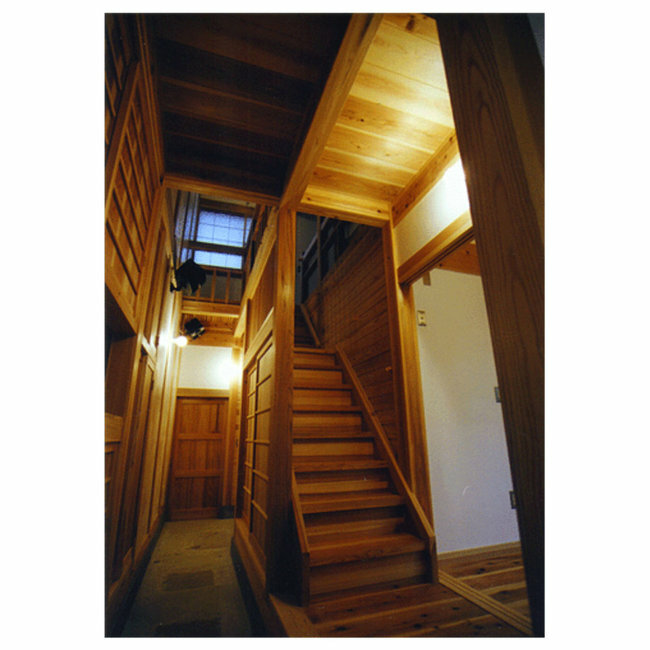 The owner wanted to convert it to Machiya ( Traditional wooden town house ) style guesthose. We restored the facade to traditional style with wooden timber and plaster work. 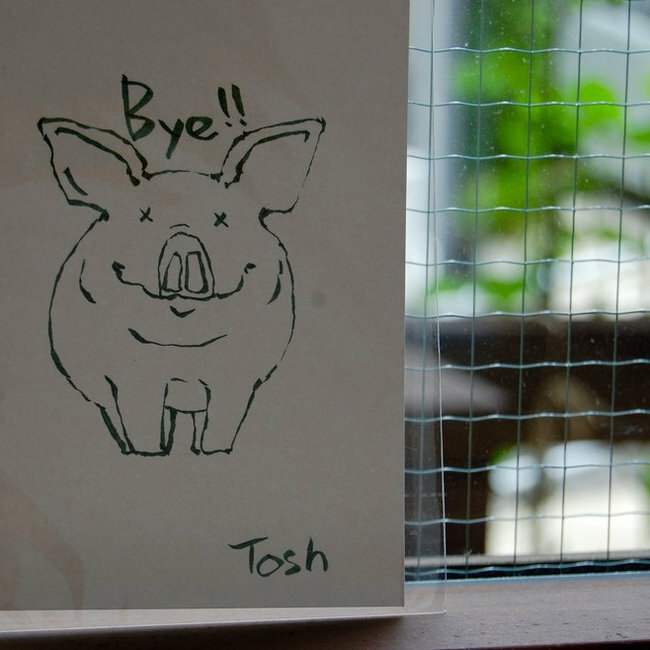 The existing aluminum window was replaced to wooden window with flower bacony. 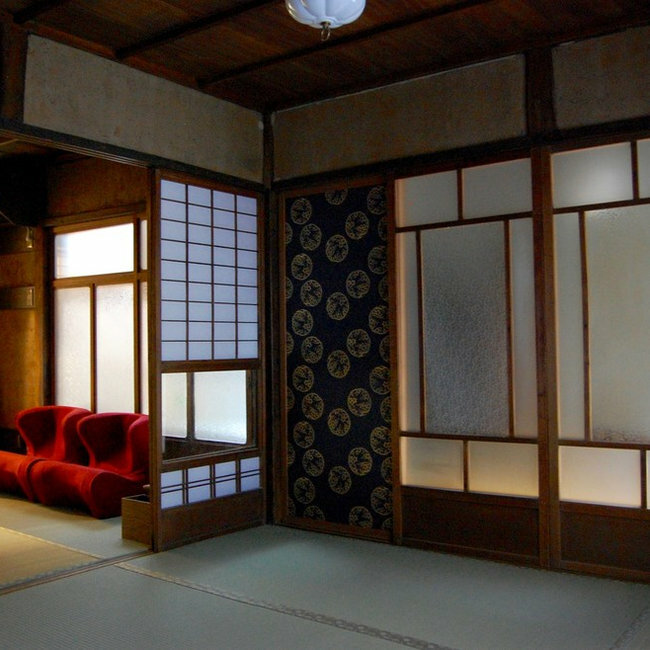 On the other hand, the intrior was redesigned to mordern style with traditional elements, Shoji sliding door, Tatami and so on. Ryokan hotel in Kyoto. 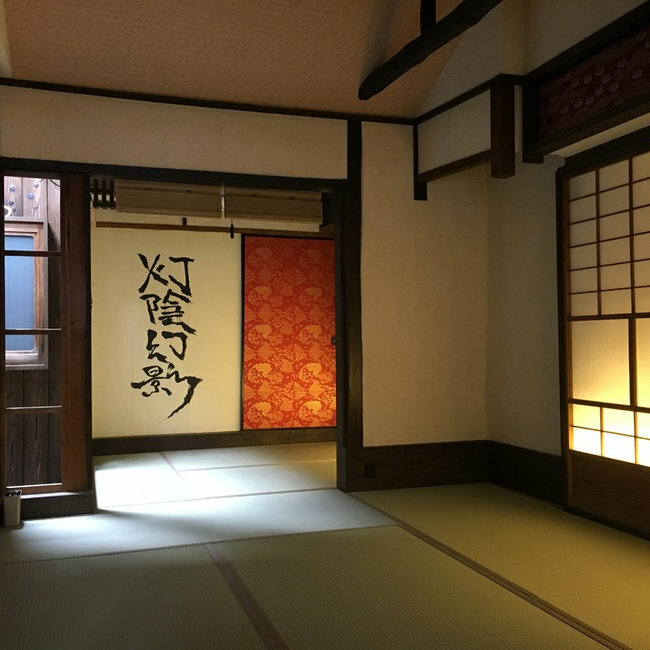 All guest rooms are Tatami style. 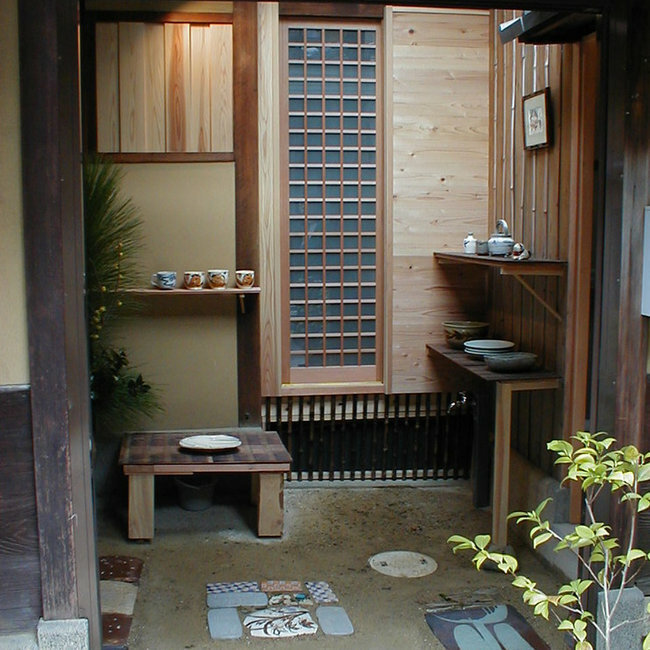 Machiya guesthouse in Kyoto. This is tiny single-storied townhouse ( it was very leaned ). 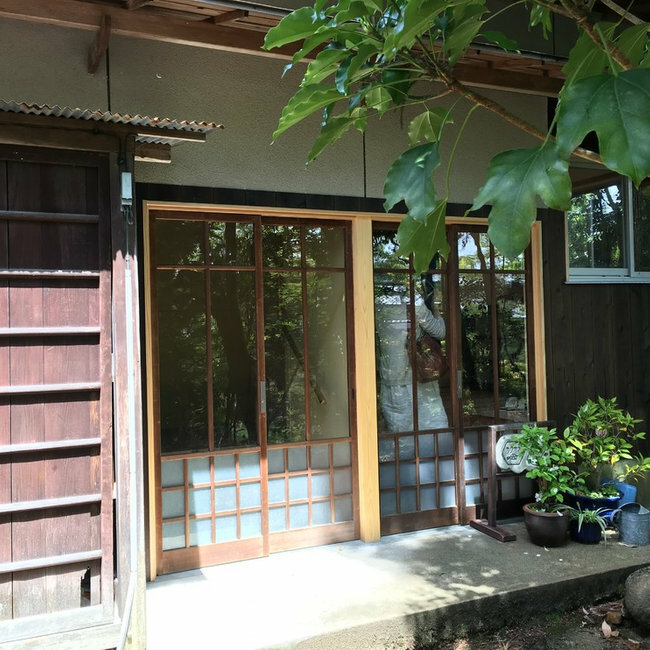 So we covered walls with used wooden doors and planed inner small stone garden ( Tsuboniwa ) for getting the spacious view. There is built-in LED tape light in the wall doors. They light the room dimly. On the other hand above the stone garden, there is a large skylight window. White gravels on the floor of the stone garden refracts the sunbeam into the room. These lightings make an impressive contrast in the room. The concept of the house came from "陰翳礼讃" by 谷崎潤一郎. 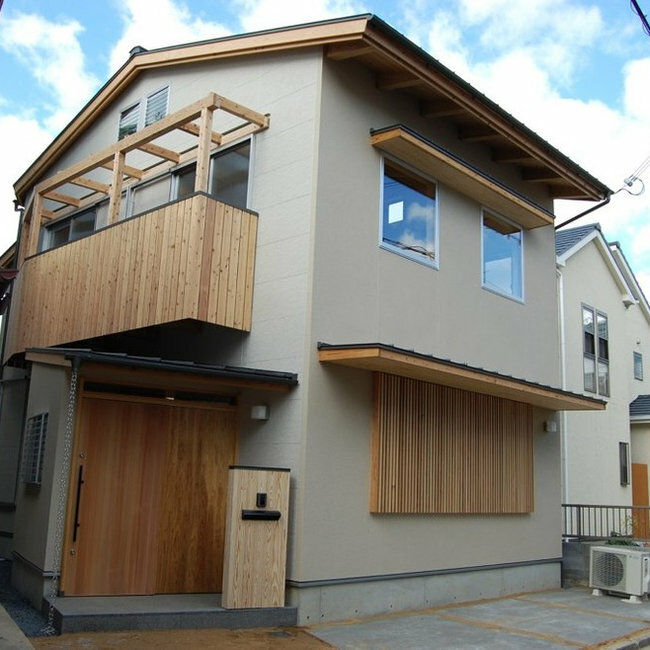 Old town house "Machiya" renovation. This rustic soil walls had been covered with cheap plywood panels. 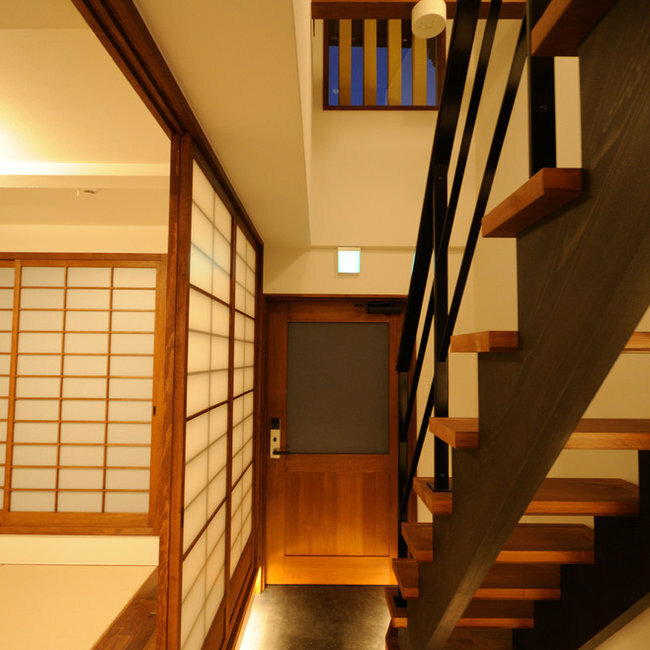 Once people used to prefer to modernize traditional Machiya with new materials. 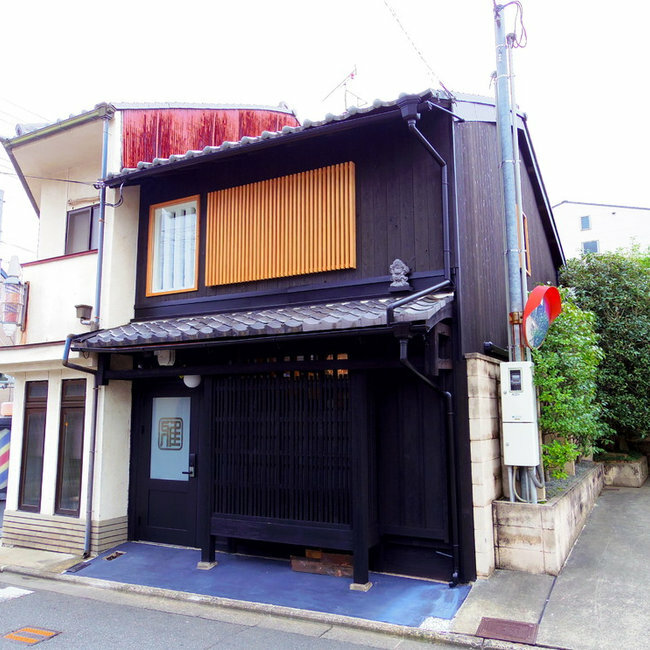 So there are many modernized Machiya yet in Kyoto. Fortunately, the structure of this Machiya was stable and not so leaning. We succeeded to restore to the old style with used wooden doors. On the other hand bathroom, toilet and kitchen were renovated with modern fixtures. 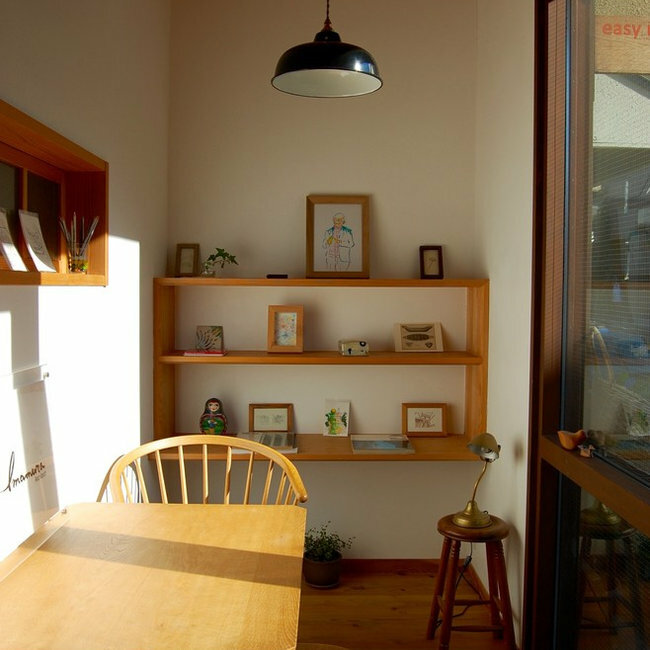 Renovation for Kakukame-san's shop and atelier. The owner loves things blended with old and new in the space. It shows the way of her life. 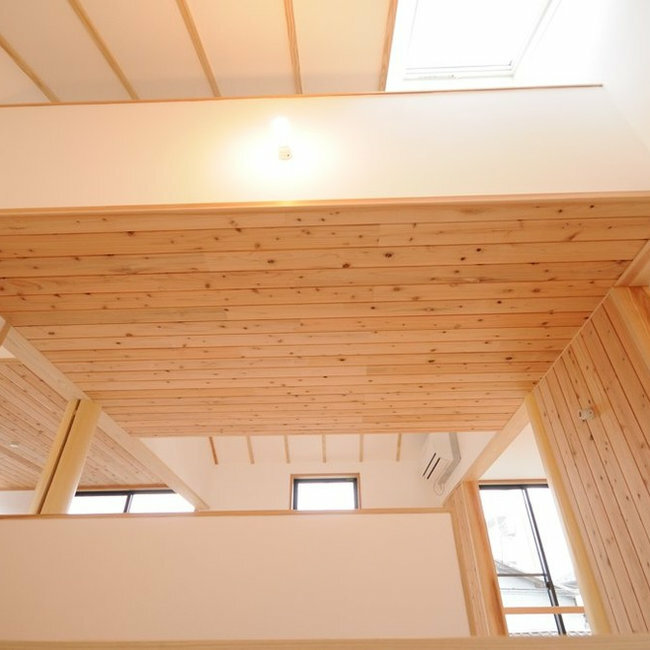 Small town house in Kyoto. This house have 2 bedrooms, kitchen, dining living room, entry gallery, study room. On the roof, there are 3 skylights to provide daylight into the house with no south facing windows.